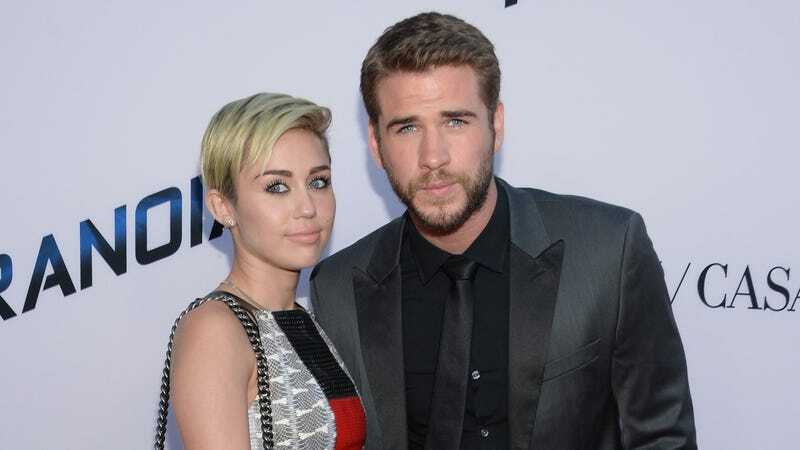 According to sources close to Miley Cyrus, she's written an apologetic "open letter" to ex-fiance Liam Hemsworth. What does the open letter say? Back off, busybodies—that's between Miley and Liam!!! What part of "open letter" don't you understand!? In related news, I think it's about time the entire earth has a little talk about the difference between an "open letter" and JUST A REGULAR LETTER. According to pals, the Wrecking Ball singer has written the Australian actor an ‘open-letter’ in the hope of resurrecting their relationship – almost two months after they parted ways. ‘As time has gone on and the anger subsided, Miley has really started to feel the pain of the split,’ a source told The Sun. ‘She thought about writing some songs, but then decided why not write a letter to Liam to tell him exactly how she feels. Ryan Lochte fell down and made the BEST FACE. And now he can't go swimming. Lochte's rep tells us ... The 11-time medalist tore his MCL and sprained the ACL in his left knee ... when he greeted an overly excited fan in Florida who ran and plowed into him.The teenage girl knocked Lochte to the ground ... and smacked his knee on a curb causing the severe injuries.Team Lochte says Ryan will take an immediate break from training and competition. But we're told his medical team expects a full recovery. Courtney Stodden and Doug Hutchison have officially announced their separation. "After two and a half years of marriage, Courtney and Doug have decided to become legally separated," Stodden, 19, and Hutchison, 53, said in a statement to the Daily Mail on Tuesday, Nov. 5. "Courtney was married at a young age. Now, at nineteen, she's interested in exploring life as an unmarried single young adult — with the freedom to explore her independence." Ryan Lewis will stand on a chair in the living room and remind everyone about his own name. For day two of Journey Week, here's sometime Jez contributor Meagan Hatcher-Mays performing "Open Arms" in her pajamas. You are welcome.